In the tantalizing world of technology today, there are endless buzzwords and acronyms for emerging tech you need to know. From AI to the ‘Uber of’ dog walking and everything in-between, maybe you think you’ve heard it all. But before you hop on the hype train and leave the station, take note — an unsuspecting player is poised to leap out of the shadows: Near field communications technology. Sound familiar? 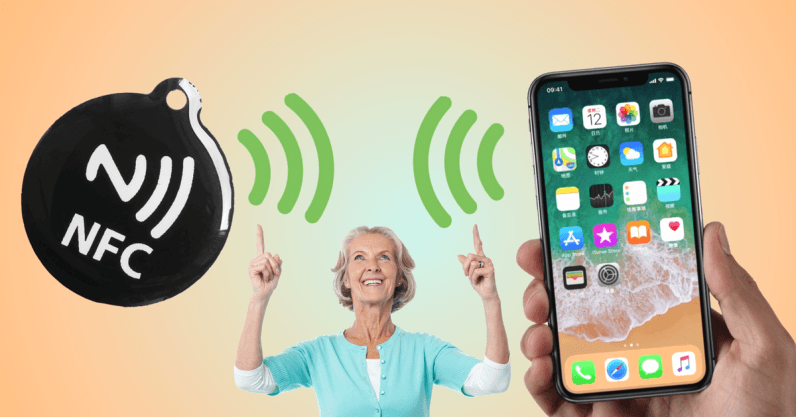 Near field communications technology, known more simply as NFC, is short-range wireless connectivity technology that makes it easy to conduct transactions, exchange digital content, and connect electronic devices with just a touch. You probably know it best as the technology that powers contactless payments like Android Pay and Apple Pay, allowing you to pay for your Starbucks habit right from your phone. NFC is also responsible for the easy “tap and go” technology behind Clipper transit cards in the San Francisco Bay Area and London’s Oyster transit cards. No more paper ticketing or fumbling with a wallet, just tap your transit card to a reader and you’re on your way. In 2017, Apple opened up iOS 11 to support NFC applications on the iPhone. While they’ve had NFC integrated in their phones for years, it’s no longer locked up and limited to Apple Pay. Third-party developers can now take advantage of iPhones’ ability to read NFC tags. Think of this as a brick wall turning into a gated entry — while you currently still need to download an app in order to read NFC tags from an iPhone, the implications are huge. That’s not to mention that Android phones — the dominant market leader globally, projected to account for about 85 percent of all smartphone shipments worldwide by 2020 — already include native NFC support on phones ranging from the Samsung Galaxy S9 to the new Google Pixel 2. In fact, there are already over two billion NFC-enabled devices in the world across every major mobile operating system, according to NFC Forum, the industry’s consortium. That’s enough to equip nearly a quarter of the Earth’s population with NFC, and analysts estimate that the NFC market will continue to grow 17.9 percent over the next decade, reaching nearly $50 billion by 2025. In addition to growth in the number of devices supporting NFC, the technology also has an important role to play in the ever-evolving state of brick-and-mortar retail stores — yes, I mean that it’ll revitalize the in-store shopping experience. How? It’s no secret that stores are having a harder time than most going through digital transformation, as old-time favorites like Toys R Us, Claire’s, and Payless bolt up their doors and fall like a row of dominoes. But despite all the chatter about the retail apocalypse, experiential brick-and-mortar stores are here to stay, likely bringing more technology-enabled concepts with them. I for one am on the optimistic, glass half-full side of the camp where a few things are certain amidst the change: brick-and-mortar stores are increasingly experimenting with omnichannel strategies that connect the dots between digital and physical experiences. They’re trying to meet consumers where they’re at, on their smartphones or on-the-go. And brands are increasingly coming up with creative ways to design memorable experiences to attract demographics like millennials within brick-and-mortar spaces (look no further than pop-ups like Google Home Mini’s donut shops or Glossier’s holiday popups). NFC checks all of those boxes. Creating a physical-digital shopping experience? NFC launches digital content by tapping your smartphone to a physical product’s packaging. Meeting consumers where they’re at? An astonishing 90 percent of smartphone owners use their devices while in-store. And for a generation that’s all about experiential retail? Yes, I’m talking aboutthe elusive millennials. Almost half of them prefer to spend money on experiences over products. NFC has the potential to bring an engaging, interactive novelty element to the shopping experience. By directly tapping a product with an NFC tag embedded into the label or packaging, users are greeted with anything from branded videos to exclusive coupons, social media reviews of the product, or more information about the brand’s story. The stats don’t lie: a recent study by the National Retail Foundation showed that fun, interactive retail experiences also resonate for Gen Z shoppers, with 62 percent frequently attracted to new and fun brands. It isn’t hard to see how NFC is already picking up momentum among global consumer brands, and marketers are beginning to experiment with the interactive technology. Just take a look at the innovations using NFC in the past year. Tostitos’ launched an alcohol-detecting chip bag that allows those who had a little too much to drink to call an Uber by tapping the NFC-enabled bag. Nike’s NFC-enabled basketball fan jerseys unlock premium content like game highlights, playlists, and products. Campari and Skyy Vodka’s fridge magnets let you order alcohol with a tap of your phone. Even L’Oréal introduced a UV sensor to test how much sun you’ve taken in that day. With brands ranging from food and beverage to lifestyle and health all tapping into NFC, you’re going to want to keep an eye out for this emerging technology. The Internet of Things is continuing to expand at a rapid pace, connecting everything around us. Now, any disposable consumer good can become smart too, ultimately changing the way we experience the world around us.